All devout music enthusiasts searching for an inclusive music festival as a year end calendar event will unite this winter, aiming to transform the shores of North Goa into a dance floor! 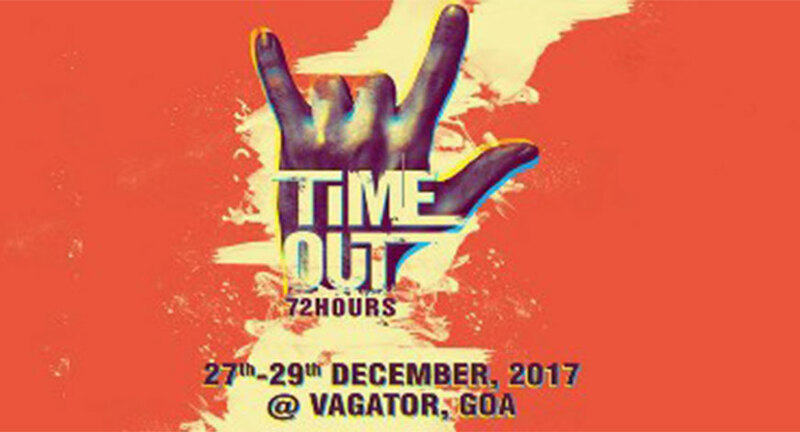 This December Goa’s beach event Time Out 72 is going to set temperatures soaring with an amalgamation of some of artists uniting on one stage to dole out pulsating beats that will transport music enthusiasts into a world of music and dance. Conceptualised and produced by Waterlemon Events LLP and Sudarshan Entertainment World, the festival will be privy to 3 days of a multiplicity of music genres at Goa’s music destination Vagator from the 27th to the 29th of December 2017. Time Out 72 aspires to give music lovers an electrifying experience capturing hand-picked talent and live experiences from across the globe. The festival will witness a galaxy of homegrown and international artists performing live under one single roof to deliver an EDM experience. Headlining the festival on Day 3 will be one of the most pioneering names from the dance music fraternity who's taking the world by storm, #1 DJ in DJ Mag Top 100, 21 year old Martin Garixx, who has professed his love for India on numerous occasions. The Dutch DJ is best known for hits as "Animals”, ‘’Don’t Look Down’’ with Usher, ‘’In The Name Of Love’’ with Bebe Rexha and most recently his collaborations with Dua Lipa and Troye Sivan. This summer Garrix performed all over the world including Coachella, Lollapalooza and his two residencies in Ibiza at Hï and Ushuaïa. He has also ventured into the fashion world by becoming the face of Armani Exchange alongside Cara Delevigne. The debut edition will feature a stage curated by, EA Events. EA Events provides dance music enthusiasts from across the globe with night outs and concept based concerts and events. EA Events owns IP’s like Don’t Let Daddy Know & Kingsland Festival. Adding a dash of international experience at the festival will be art installations, international emcees, flea markets, solar powered stalls, adventure zones, grafitti panels painted through the festival, chill-zones with the world cuisine. The festival will cater to an assortment of sounds such as pop, rock, indie, live and dance and will feature 3 stages apart from multiple after parties. This event will also put emphasis on security for women and zero tolerance towards banned substances. Specialized teams will be trained to monitor the festival and will work closely with local authorities to ensure that all festival goers indulge in safe and legal revelry.